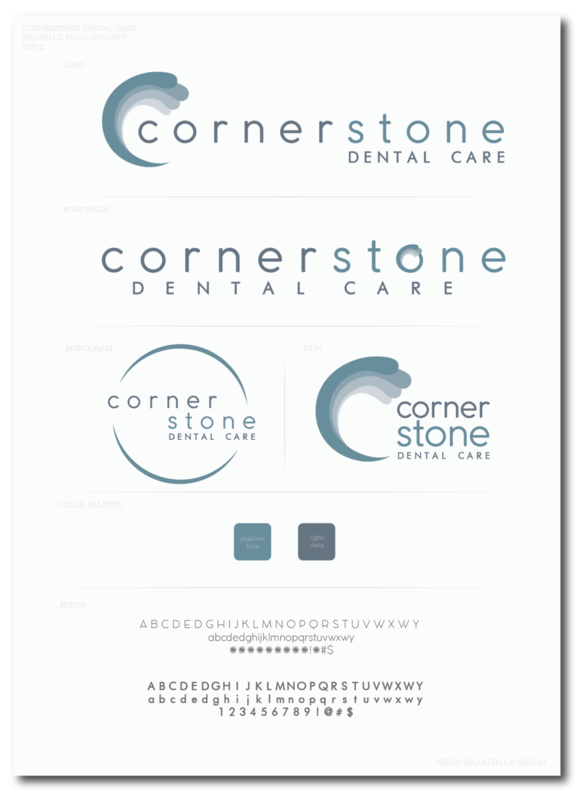 Dr. Thomas Bae opened Cornerstone Dental Care in 2010 & he came to us to update all of his branding materials to reflect his love of the ocean & surfing. We took the basic idea of waves & came up with an abstract icon in soft blue hues to match his newly renovated offices. It was such a wonderful concept & we had a great time collaborating! When Dr. Jasser Thiara decided to open up his own Women's Wellness practice in Virgina, he came to us to help bring his branding visions to life. He wanted to keep the colors soft & female-friendly, while reflecting the modern decor of his brand new offices. We brought in the Rose Gold metallic for an on-trend twist. Frank Flores, founder of Surefire Consulting, INC. wanted to get his branding in order before he launched his now multi-million dollar company. 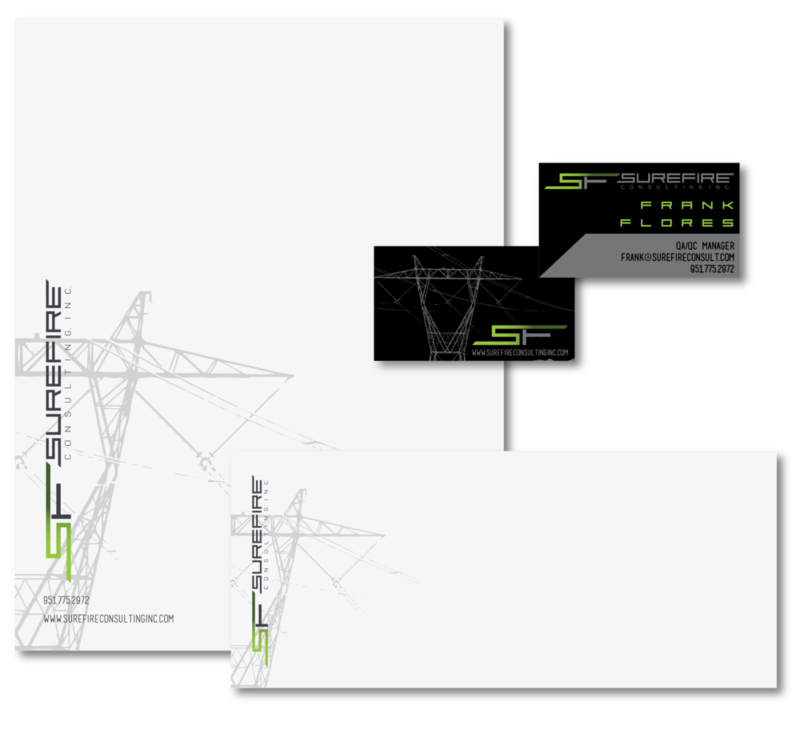 Focusing on the transmission line construction industry, he wanted his branding to reflect the environment he works in, as well as evoking the feel of lightning & electricity. He loved the bright green & charcoal color palette we created & we carried that throughout all of his branding materials & into his brand new website. Josh Kreitzer, founder & CEO of Channel Bakers took the leap & started Channel Bakers in 2015 with not much more than an idea of building an Advertising Agency that caters to the Amazon Marketplace. He knew the first thing he had to do was create the perfect branding. We played with incorporating the famous Amazon "smirk" to reflect his target market & created custom flyers to take to an industry conference to spread his message. In just a few short years, Josh has built Channel Bakers into a multi-million dollar enterprise & we are proud to have been apart of it from the beginning! Serendipity came to us to design a full-size wall graphic to inspire their employees to continue providing excellent service to their happy couples as well as all of the guests who attend weddings at their spectacular venue! We started with their brand new values statement & the inspiration of a chalkboard to create this literally larger than life wall graphic. We worked with a local printing company to create the vinyl sticker, as well as coordinated installation. It turned out so well, they decided to put it on totes, water bottles & notebooks for their hard-working staff! We are currently working with them to re-vamp their website to reflect the multi-million dollar company they have become, as well as incorporating Social Media Marketing to reach a larger audience. Stay tuned!